How pretty are these napkins rings?!?! I just really love them! They were done so fast too. 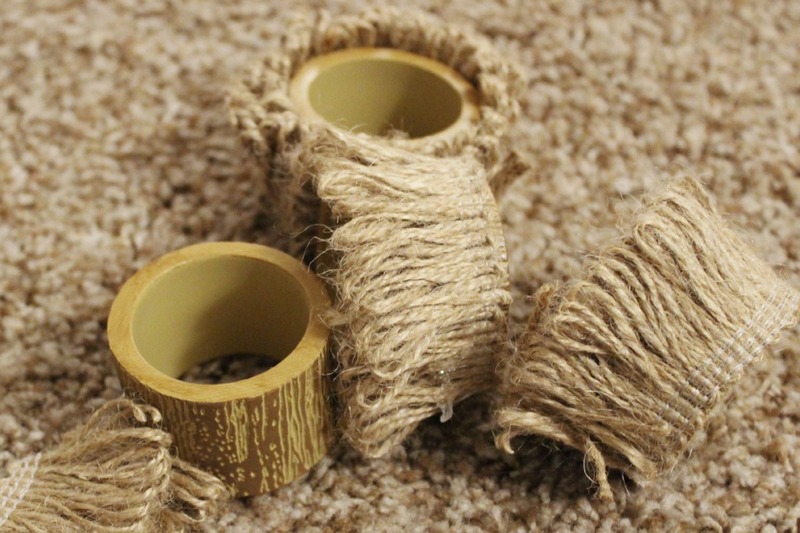 All you will need for this easy project is a pack of napkin rings. I found a set at the dollar store. They are ok but nothing special, they kind of looked a bit cheap to me. I used a bit of trim that I got from Joanns that I had left over from a different project. A little bit of Hot glue and then I broke off a piece of a branch that I had that was also from Joanns. I cut a small piece of the trim and covered the cheap looking napkin rings by doing a small dab of hot glue to connect the two ends. Then to cover where the two ends met together I put another dab of glue and covered it with a piece of branch. I only used a small bit of glue in case I wanted to change out the cover of the napkin rings to something different for a different event. The possibilities are endless. 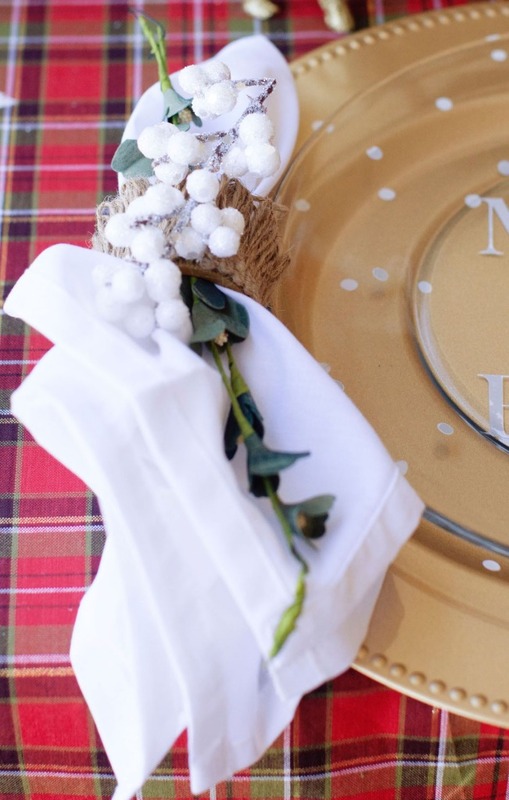 You can cover napkin rings with paper, fabric or any other kind of trim or ribbon. Another element that I loved at the party was these darling Himmeli ornaments. These may look hard but they are very easy. I love them and I would love to have them all over my house. They are made from black cocktail straws, and I spray painted the ornaments gold after they were put together. One of our favorite people of all time is Mandi from Vintage Revivals. She has the best tutorial for these cute ornaments. Check out the tutorial HERE. While you are visiting her blog check out her awesome stuff. She is amazing! These two cute and easy projects are something that your kids can help you out with and you can get them done quickly but they are very impressive to your guest. They make a BIG impact! 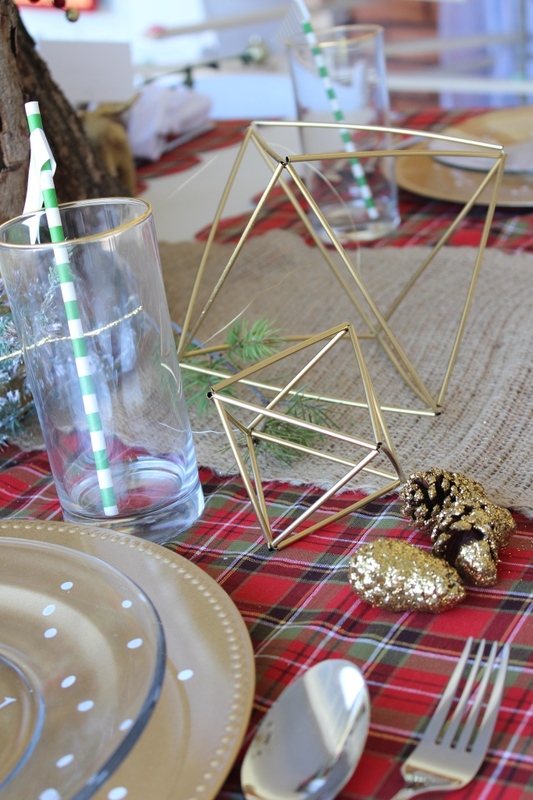 Party decor does not have to be hard or expensive. Little things do make a big difference.